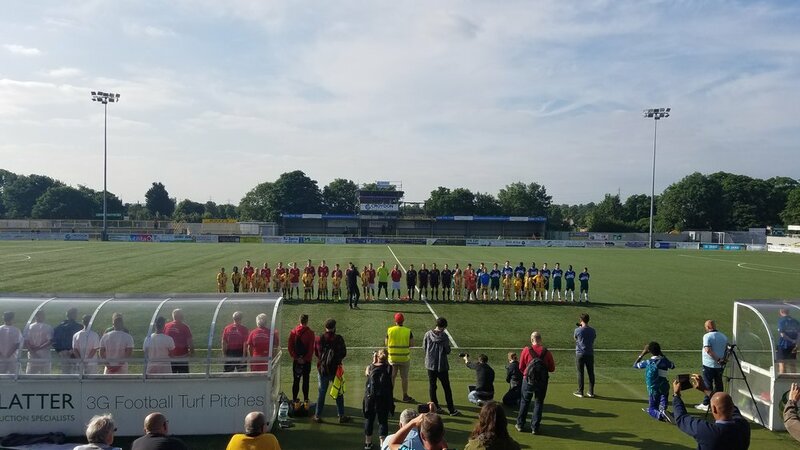 FT - with that, Cascadia is knocked out of contention for the @CONIFAOfficial #WFC2018 trophy by Karpatalya, 1-3. Cascadia will enter placement round 2 against Western Armenia on June 7th, 3pm BST. A great run for Cascadia's first ever showing. Onward Cascadia! After losing our quarterfinal match 3-1 against a very competent Karapatalya team - Cascadia was eliminated from the ConIFA Cup last night. The Cascadian squad only met for the first time a week ago, and already has done itself proud - playing together better than some veteran teams, and making true bonds of friendship that will last well off the pitch. The Cascadia team has given their all - and represented Cascadia at an international level of play as they took us through the three group stages and into the quarterfinals. A little more than two months ago - there was not such a thing as a Cascadian team. To be able to put together such a great squad, fundraise for travel expenses, find a coach, players, design and order kits, has been nothing short of herculean. The minute the the squad touched down in London - our real victory was already made... and as far as we made it - just the gravy on top. Now - with the positive energy that we have received, and because of the continuous efforts of CAFF president Aaron Johnson, fundraising and media support of CAFF VP Brandon Letsinger, coach James Nichols, team Captain James Riley, with his family Jessica and three month old daughter Brooklyn, assistant coach Shaun Gardner, scout Jack Thorpe, and everyone who has helped with social media and building supporter energy - Trevor Owen, Uriah Donavan, Erik Thulin, our media partners at Prost Amerika Steve Clare and Ali Gilmore - and our documentary team Jay Conrad and Travis Odinzoff - this is just a beginning. An especially amazing thank you to the Cascadia players who have made this vision a reality. Their positive energy and good nature have built a team truly both on and off the field, and deserve the respect and thanks of all Cascadia football fans. It has been a true team effort. The Cascadia team now turns its attention to the final two placement matches, the next this Thursday against Western Armenia, and the final this Saturday. From everyone here - we thank everyone who has taken part to make this incredible journey happen, and can guarantee - this is only the beginning!